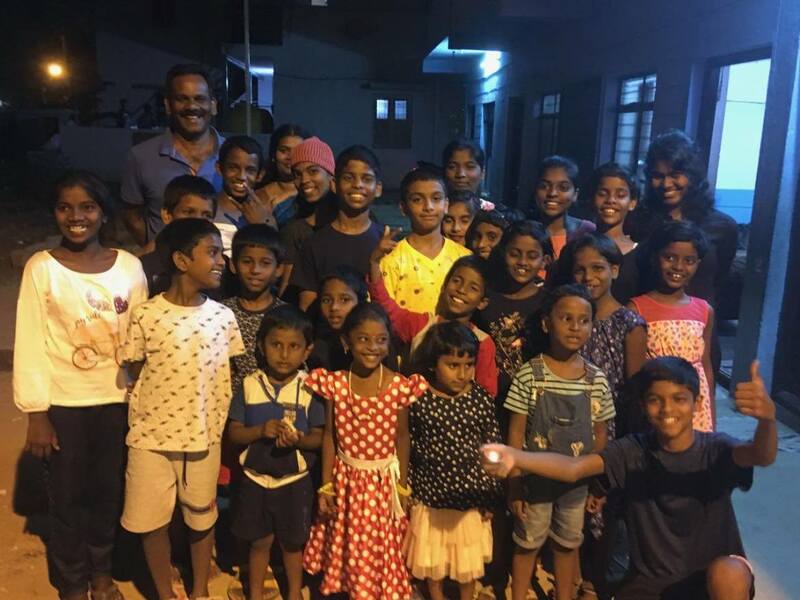 Miracle Manna Children's Home is a loving home to 23 children - orphaned by their natural parents at different ages- and embraced by the large arms and hearts of Shivaji and Prema. The couple began their unplanned journey desiring to welcome one child into their family through adoption. But the need for home for children orphaned by poor parents, some neglected and oppressed, grew systematically over the last 6 years to the strength of today, thanks to the couple's quiet resolve not to say no to a child in distress. Despite their own economic background being modest. Shivaji had to leave his job as a driver, and Prema as a BPO staffer, to raise children and do all the physical work required to run the home, committed to providing the kids with good education and loving care. They go down to the bare minimum quite often and live with faith and dignity thanks to providential help of benefactors, like the Principal of a city english medium convent school charging a discounted fee of just Rs.5000 per child per year, to a land lord who has given a reasonably roomy home for a rent of Rs.8000/- pm., and other families helping them monetarily and in kind. Funds required immediately is Rs.1,20,000/- to meet pending Home rent for 5 months, unpaid school fees for a few students , unpaid college fees for the oldest child of the Home, Marina, who is in 1st year BBA, and for food rations for the coming month. This would give immediate relief for the Couple to keep the Orphanage going. Got a good Offer for a Used Bus: Need your help Asap for Rs.2.9 lakhs ! 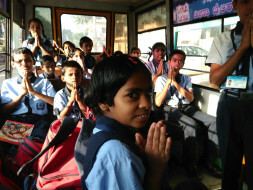 - The current Orphanage bus has completed 15 years of life as of December 2018, and as per proposed rules of the Central govt. which is expected to be made into law after the Lok sabha elections, will have to be retired. We have been scouting for a replace bus for 4 months now. - We now have a good offer from a well know school in Bangalore who are willing to give their used bus - 5-6 years old, 20 seater bus - for Rs.2.5 lakhs. Please see their best offer email which is enclosed. We need to spend for conversion from Yellow board to White board for Orphanage, pay taxes and change tyres etc. estimated at Rs.40000/- . Need Rs.2,90,000/- immediately. - As our funds position is very low right now- and need to cover for April month running expenses- request Milaap supporters to help immediately. Children at Miracle home are in midst of exams. Two are giving their 10th Board exam, and the oldest child of the home will be giving her final year BBA exam. So it a big year for the kids ! Kids have put their best foot forward to prepare for the exams and volunteers have spent time mentoring and coaching kids for the same... Please wish them best ! Many children find it challenging to remember salient points from a lesson, which impairs both their learning ability and their ability to present right answers in examinations. This is largely due to deficit in English. Miracle children have been encouraged to imbibe two practices to enhance their learning skills. Firstly, noting down of ‘New Words’ and their meaning in a separate notebook. ‘New words’ are encountered by children due to new knowledge being taught (e.g. herbivore, photosynthesis ) or new terms used in specific subjects (e.g. velocity, legislature) or new vocabulary words (e.g uproot, elaborate ). Learning 'New Words’ improves comprehension and knowledge. Secondly, underlining ‘Key Points’ in lesson book or in classwork notebook. ‘Key Points’ are identified after understanding, and aid retention, help in presentation of answers and improve summarising skills. In the last many weeks, Miracle children are imbibing these skills slowly to learn better, and are positive about its utility. Over the next few months, when children learn to deploy these practices systematically in their work habit, they would have improved their skills to learn better for life. Lets keep our fingers crossed ! Couple of support group members gave new clothes to children for Deepavali. With little amount of sparkles presented to them, Miracle children celebrated the festival of lights with joy . More than crackers that are limited, is the fun time they had with simple games at home like passing the parcel and musical chair . On Christmas, Miracle children fanned out to bring cheer and blessing as well as to express gratitude by singing christmas carols at homes of supporters who invited them. - Building plans are finalised; a young company started by IIT Rourkee civil engineer will construct the new orphanage home. 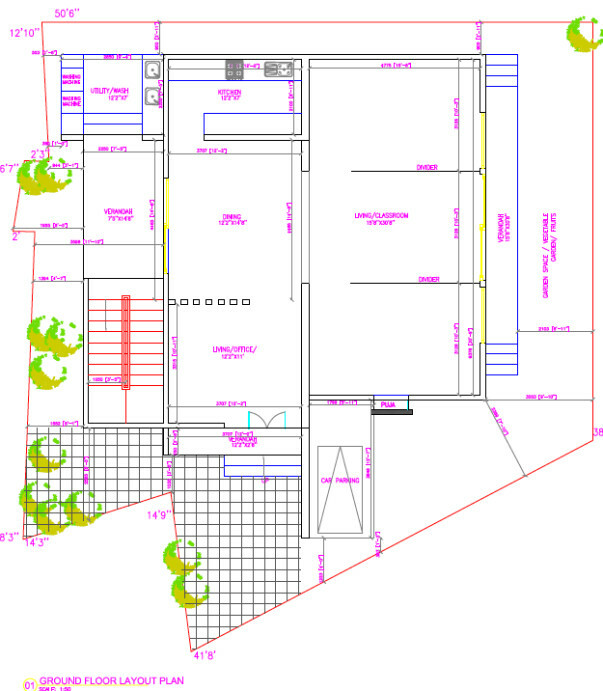 - We are finalising the land lease agreement with the landlord on which the proposed new home will be built. (D) Immediate Funding gap - Need your help. - Rs.1.5 lakhs of pending school fees for current academic year is required urgently. Miracle children send their prayers and wishes to all of you at Milaap support group for a New year 2019 of fulfilment, peace and progress! The support and love showered towards our cause is overwhelming. Thank you for the same! A miracle option for relocating Miracle children home ! * We were struggling last few months to find a solution to relocating Miracle children's home after the current landlord asked to vacate- couldn't find anyone willing to rent or give building for long lease to an orphanage; and land is too expensive to buy. * That's when we had a breakthrough by god's fulsome grace: a gentleman agreed to give his empty land for lease of 20 years for monthly rental, with permission to build a home at our cost ! 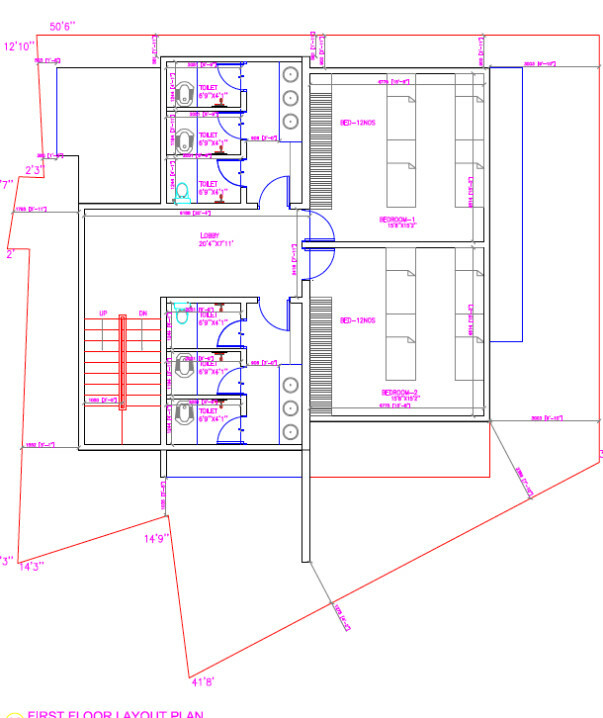 * A design layout has been made for the new home for about 2200 sq ft of built space for the 25 residents . 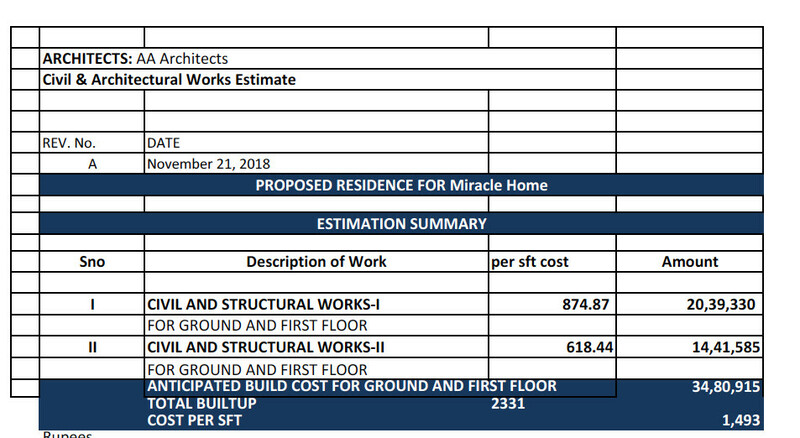 The cost estimate is around Rs. 34 lakhs which we are trying to bring down a bit if possible. * The big positive is that the land on lease is much closer to the school children go - under 2 kms. Please see the video of Prema & Sivaji's earnest request at the proposed new site with the kids.